Over the centuries, the messianic tradition has provided the language through which modern Jewish philosophers, socialists, and Zionists envisioned a utopian future. Michael L. Morgan, Steven Weitzman, and an international group of leading scholars ask new questions and provide new ways of thinking about this enduring Jewish idea. Using the writings of Gershom Scholem, which ranged over the history of messianic belief and its conflicted role in the Jewish imagination, these essays put aside the boundaries that divide history from philosophy and religion to offer new perspectives on the role and relevance of messianism today. 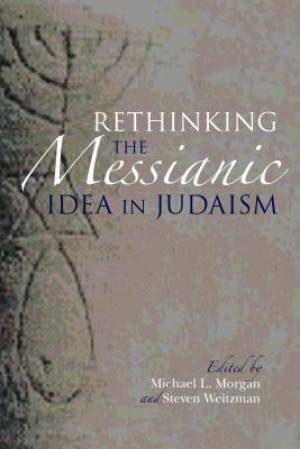 Rethinking the Messianic Idea in Judaism was published by Indiana University Press in November 2014. The ISBN for Rethinking the Messianic Idea in Judaism is 9780253014696. Be the first to review Rethinking the Messianic Idea in Judaism! Got a question? No problem! Just click here to ask us about Rethinking the Messianic Idea in Judaism.